baby's due date is days away. if you had asked me three weeks ago i would have never thought we would have made it this far and now that we have i couldn't be more thrilled. my 'nesting' has been taken up a little with each day. 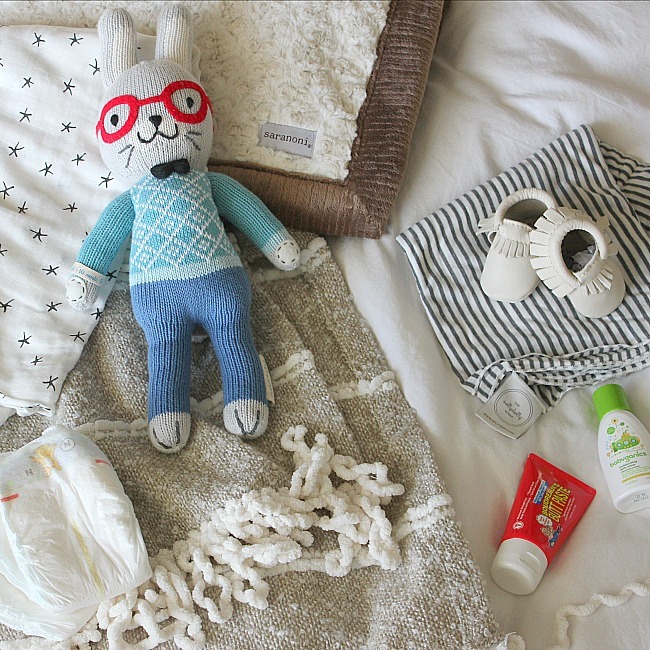 i consider all of the things the baby may need, all of the things i may need for recovery and whether our home is prepared to welcome this little bundle. after having been through this rodeo a few times i feel like i am better prepared to know what to plan for with baby's arrival. above are just some a few of the things i have picked up in preparation for baby. included on that list are aden+anais swaddle blankets, Saranoni cozy wrap blankets, baby diapers and diaper care products, a Solly Baby wrap to help keep me hands free and baby close and snug to my heart, cute clothes for the cool fall winter months and last but not least sweet items for baby to cuddle with like this cuddle+kind Benedict the Bunny. when i was first contacted by cuddle+kind i was immediately drawn to the sweet design of their hand knit dolls because they are beautiful. i was even more impressed when i found out about their mission. with each doll sold cuddle+kind commits ten meals to children in need. their ultimate goal is not just to sell a great baby product but to also provide at least one million meals a year. in addition to this goal their dolls are hand knit by women in Peru to help provide them with sustainable fair-trade income. not only is Benedict a great snuggle for the baby it was also just the right item for the girls to get excited about baby's arrival. 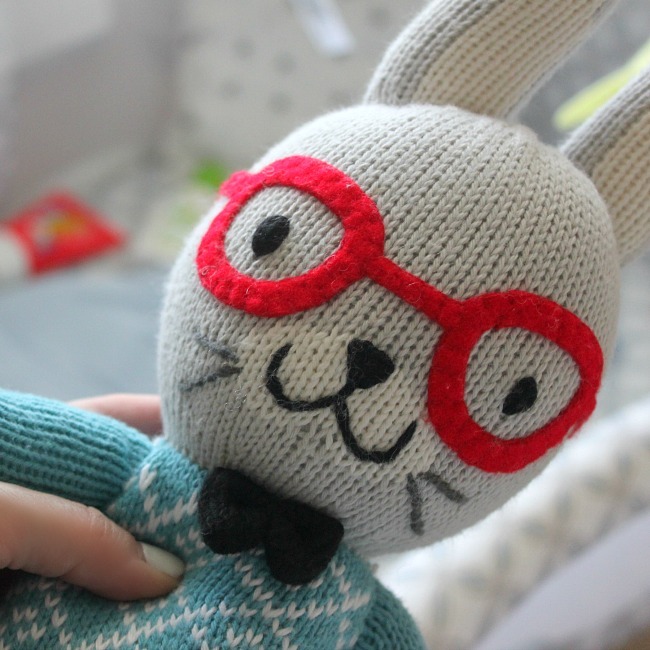 of all the items i have picked up in preparation for baby nothing has really drawn the girls' attention like 'Benny the Bunny' (as they like to call him). they can't wait to show their little brother how fun it is to have a buddy like Benedict. i can't wait to watch them create the bond that only siblings can create.